Your private 1-day trip from Marrakech to Essaouira starts at 8:30 am where your English speaking tour guide / driver will pick you up. 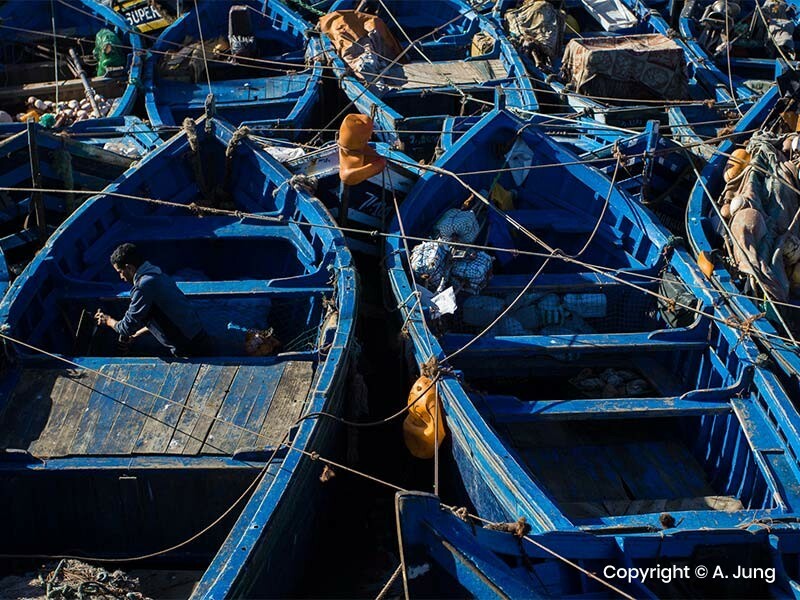 Your tour includes a visit to the ancient city, the old medina, and the port, where you will find the local fishermen making ready their nets and preparing to set sail! The afternoon will be free for a stroll on the beach, and then after lunch by the port the tour ends, returning to Marrakech at 7:00 pm. 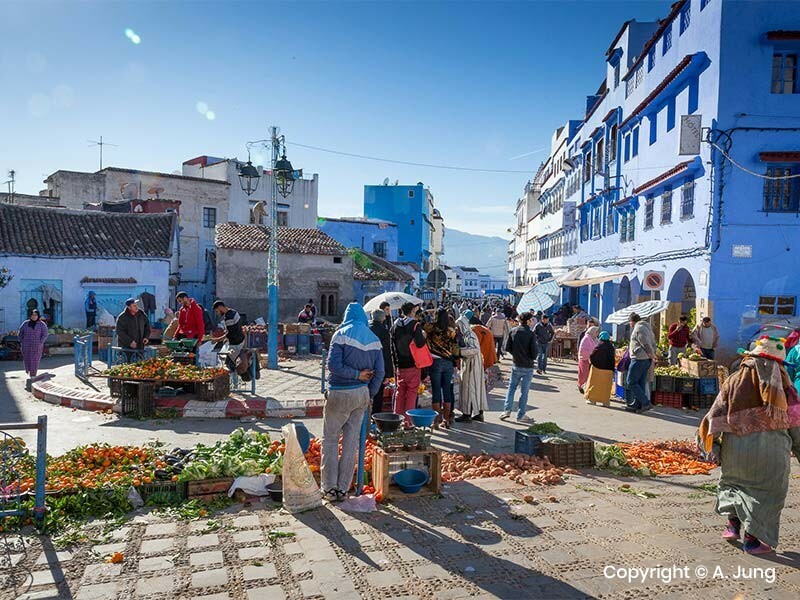 Have a look at prices for private 1 day excursion in Morocco with Holiday Tours In Morocco. For the the large group please contact us to give a price for it. More info about terms and conditions at our FAQ page.